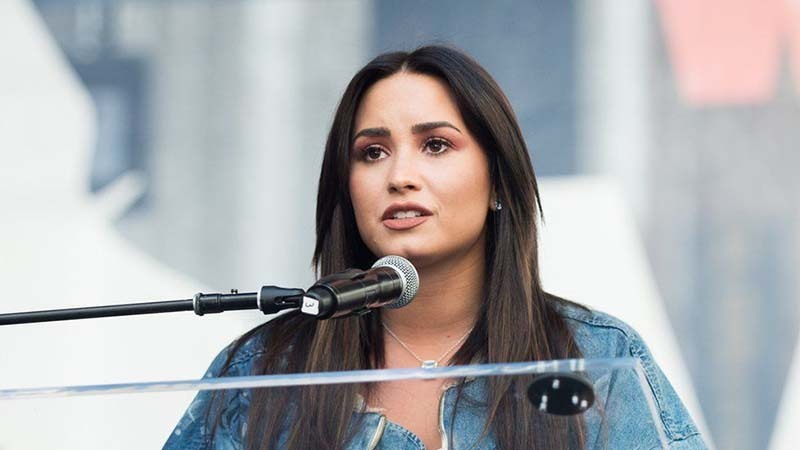 Demi Lovato has thanked her fans as she marks five years without an alcoholic drink. The singer posted a heartfelt Instagram message alongside a progress tracker from the 12 steps of Alcoholics Anonymous. “So grateful. It’s been quite the journey. So many ups and downs,” she wrote. The 24-year-old has been open about her struggles with substance abuse, eating disorders and depression. The former Disney Channel star says she turned to drugs and alcohol to cope with the pressures of fame. In 2010 she checked herself into rehab after a violent argument with a friend and was diagnosed with bipolar disorder. Since then she’s found help and has become a spokesperson for mental health awareness. She was honoured with the Artistic Award of Courage earlier this month in LA for her work as a mental health advocate. Demi’s also released a book and a documentary about people who struggle with mental health problems. “So many times I wanted to relapse but sat on my hands and begged God to relieve the obsession,” she continues in the Instagram post. “I’m so proud of myself but I couldn’t have done it without my higher power (God), my family, friends, and everyone else who supported me.